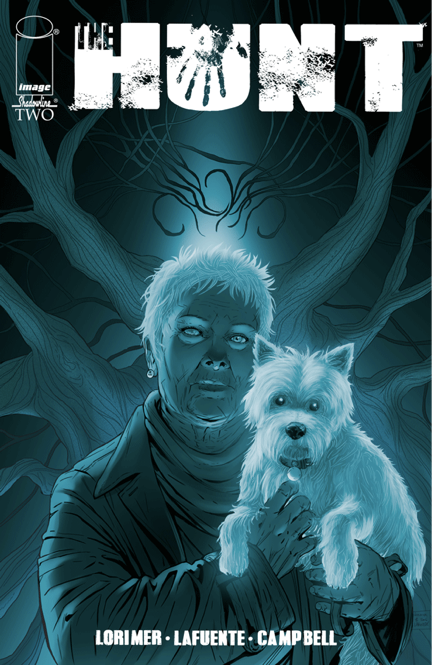 The Hunt #2 Review – AiPT! Colin Lorimer’s tale of supernatural horror steeped in Irish mythology continues, this time with a jaunt into the otherworld along with another heaping helping of flashbacks. Grandma and her dead eye don’t play when it comes to dealing with bullies, human or otherwise. Not sure I can root for someone who wastes good cheese like that. Not sure what Orla’s thinking, but it takes some serious cajones to walking into a spinning vortex in the middle of the woods. Rookie move, kid. Rookie move. Once again, Lorimer’s artwork is amazing. Unfortunately, his story suffers from many of the issues as it did in the last issue. The flashbacks feel more distracting than informative or interesting. Maybe I’m just missing something, but they honestly don’t seem very important to the main story at all. Unfortunately, things aren’t much better in the present, either. We get a TON of exposition, which becomes even more of a chore to read in the heavily dictated dialect. But when we get to the good stuff, it is really, REALLY good. Orla takes an insane journey that quickly leads her into a chilling confrontation. The dialogue between her and one of the supernatural entities is good enough on its own, but it also ends up going in a direction that I was genuinely not expecting. And that last page…good lord! Not only was it set up exceptionally well, but it might be the best thing Lorimer has drawn so far—and that’s saying something. The positive qualities of this book are so good that they’re also frustrating. The potentially fantastic story keeps tripping over itself only to get back up and pull you back in again. Hopefully next month’s issue will show the same momentum and narrative focus that the last third of this one did.